Lance Walter addresses a crowd of CDC members at the 2017 NADCO Annual Conference. 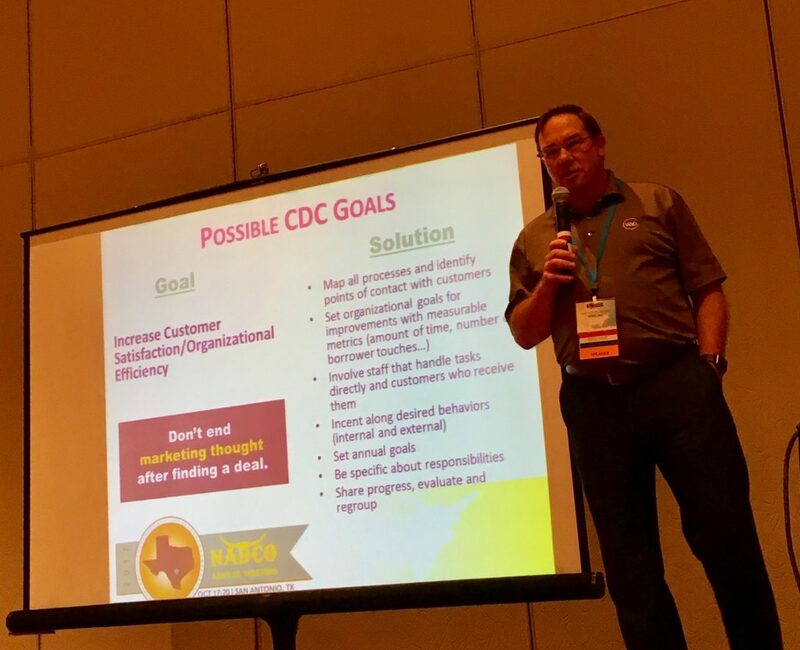 Lance Walter, VP of Strategic Communications at WBD Inc., leads a breakout session on goal-based marketing at the 2017 NADCO: National Association of Development Companies Annual Conference in San Antonio, Texas. Lance geared his marketing talk towards other Certified Development Companies (CDCs)—nonprofit organizations that are certified and regulated by the U.S. Small Business Administration to provide 504 Loan financing to small businesses. Heather McNelis, NADCO Director of Marketing and Communications, joined Lance in the presentation.